Safety is paramount with Sydney asbestos removal. It can be a very dangerous substance which is extremely harmful to health. It is not worth cutting corners, or being unsafe when removing asbestos. Generally, asbestos removal is safe providing it is carried out by a licensed asbestos removal professional. They will ensure that all safety requirements are carried out and that the asbestos is removed, safely, efficiently and reliably. 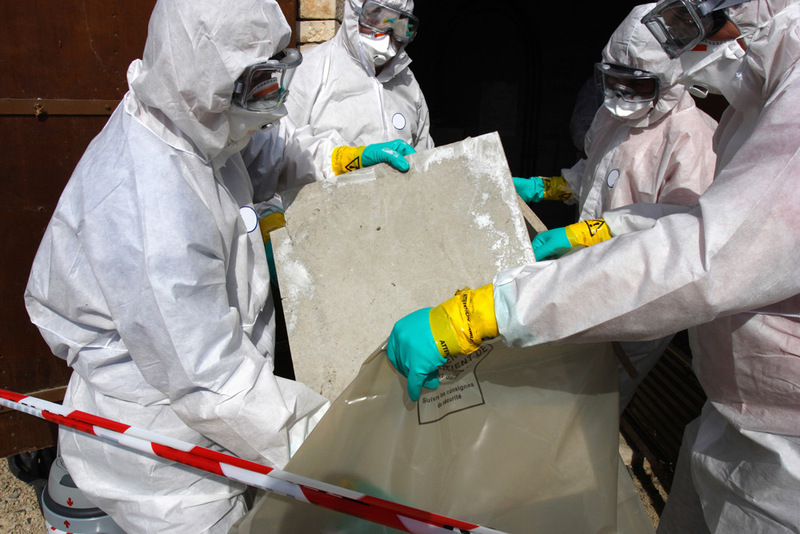 WHAT ARE THE RISKS IN ASBESTOS REMOVAL? There are always some risks in removing asbestos. However these can be mitigated by engaging a licensed, accredited asbestos removal professional to do the removal and safe asbestos disposal. Generally, the risks come from the type of asbestos, the location and whether it is bonded, friable, or non-friable. Friable asbestos needs the greatest safety precautions. It is always wise to be cautious with safety around asbestos. It is a very dangerous substance. WHO IS LICENSED TO REMOVE ASBESTOS? NSW WorkCover AS1 Friable Asbestos License – licenses the removal of friable and non-friable asbestos. NSW WorkCover AS2 Bonded Asbestos License – licenses the removal of non-friable asbestos only. NSW EPA Waste Transporters License – allows the transport and disposal of asbestos and other waste.